Buy together Rembrandt: Britain's discovery of the Master Exhibition Book & Rembrandt and Britain Souvenir Guide just for the price of the Exhibition Book. The story of Rembrandt’s profound and inspirational impact on the British imagination is illustrated in Rembrandt: Britain's discovery of the Master Exhibition Book by over 130 sumptuous works by the master himself, as well as by some of Britain’s best-loved artists, including William Hogarth, James Abbott McNeill Whistler, Eduardo Paolozzi and John Bellany. 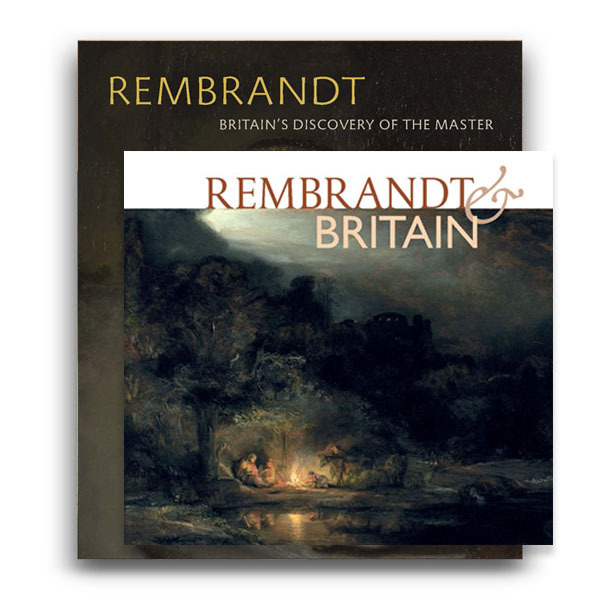 An absorbing introduction to the story of Rembrandt’s rampant fame and influence in Britain is filled with beautiful images in Rembrandt and Britain Souvenir Guide. This absorbing introduction to the story of Rembrandt’s rampant fame and influence in Britain is filled with beautiful images. Official poster to accompany the exhibition Rembrandt : Britain's Discovery of the Master from 7 July 2018 to 14 October 2018 at the Royal Scottish Academy.